This article explains how to use Insert Action Items feature. Now you can insert Action Items in current notes from previous instances of the recurring meeting. 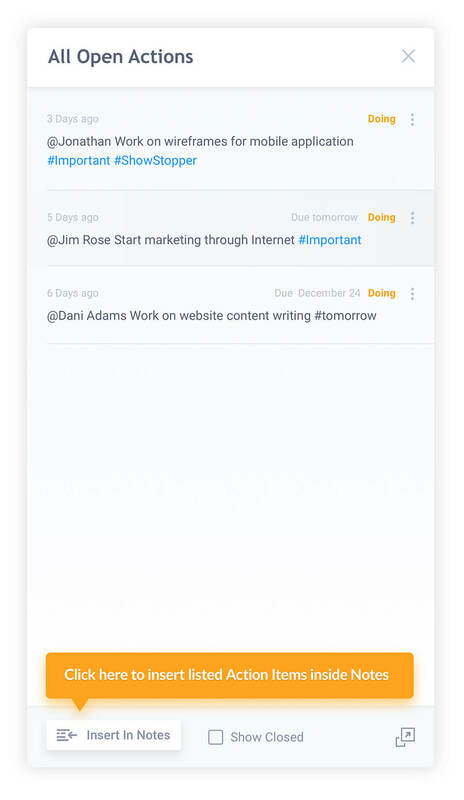 Running recurring meetings is lot easier with MeetNotes now. No need to copy paste Action Items from previous meetings. Only the Action Items created in previous instances of the meeting, which are listed after applying the filter will be inserted. 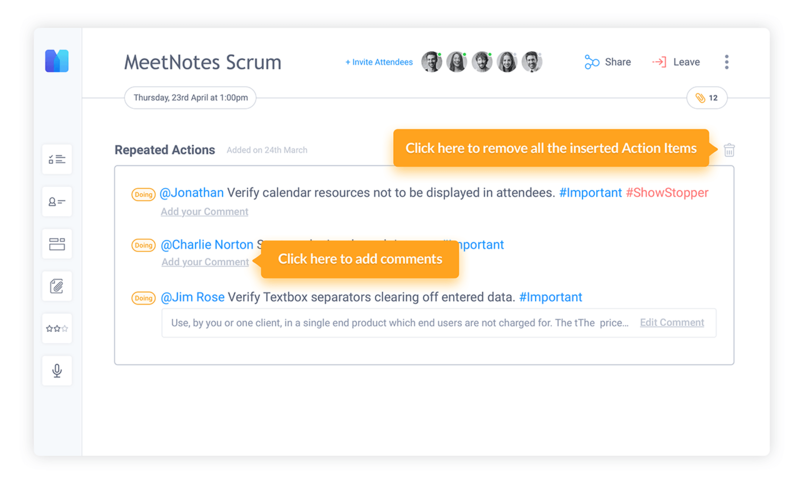 Once inserted you can add a comment to Action Items. You can remove the inserted Action Items by clicking on remove icon at the top. Need help inserting Action items? Reach out to us.